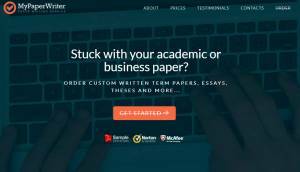 You are here: Home / Copywriting / Should you trust your paper to Essay.ws? Find out from my review article! Before we get into much detail, let’s see where this company is located. Although I told you earlier that this firm is not a scam, I also have to tell you that it is suspicious though. If you access their website, you will read that the main building of this company is situated in San Diego, California, but if you really check the address, you will discover that the headquarters doesn’t really exist. The map on their website also provides an image of a neighborhood in Brooklyn. Since I still remember a bit from my geography classes, I’m firmly convinced that Brooklyn is in New York, and New York is not in California. Therefore, I don’t really understand the connection between San Diego and New York. While it may be a website error, my suspicion level rose inevitably. Going through the reviews on the Internet, I found it very difficult to observe any positive feedback about Essay.ws. Reading a sample of their products made me understand where the low rating comes from. The paper was poorly written, with a broken English, missing citations and the customer complained that his instructions were not taken into consideration. With so many errors, it is hard to find something good to say about this weird company. Trying to contact a writer or the customer support personnel is again something out of the ordinary. The representatives from the customer support are definitely not trained and have no idea how to talk with a client. They also don’t master the basic information about how to reply to a customer and how to solve any possible problems that he may encounter. In addition to this, it is no doubt that the writers of this company are unqualified and definitely not native English speakers. In fact, I believe they are not even at an undergraduate level. 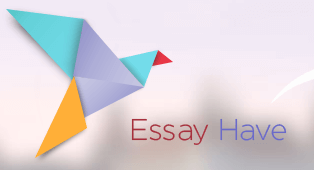 Essay prices are low compared to other writing services, and I believe that’s the only good thing I have to say about this company. An essay should cost around 13 dollars per page. However, although the prices are acceptable, the quality of the writing and the customer service is missing completely, so you may need to ask yourself if you are willing to risk ordering from this company. If you are a new customer, you will be given the opportunity to get a promo code. However, you can’t use it because there is no place to enter it on the website, so I don’t know exactly what kind of discounts this company actually has. Also, there are no coupon codes. In conclusion, Essay.ws doesn’t deserve to be taken into consideration because it lacks almost everything a good writing service should have. Although the prices are low, the quality is poor, so I don’t recommend it to anyone.